Steve Gaghagen of Online Techniques took us through a journey of discovery into the way people think based on the “colour” or type of personality. 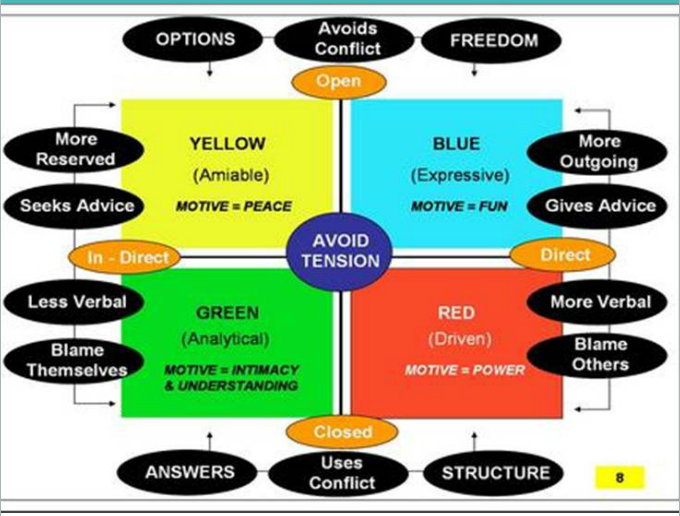 By creating a colour chart for the 4 quadrants of personality, it makes it easier to understand their characteristics. Steve took it one step further and showed our guests how to use this information to share their network marketing opportunity. By understanding the needs of your prospect, you can be well armed with the right information presented the right way so that you can sponsor more distributors and customers into your Network Marketing or MLM business. This is the chart Steve refers to as he describes the 4 different personality types.